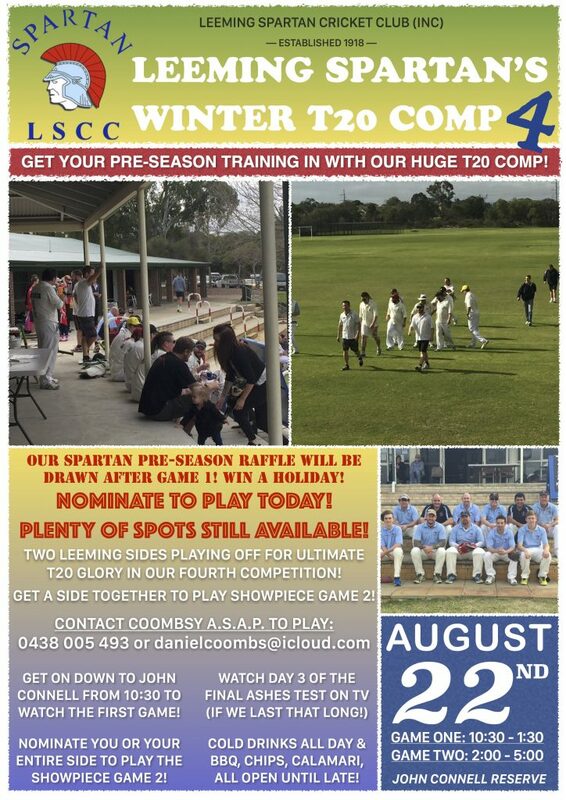 The 4th edition of the Spartan Winter T20 Competition will be taking place Saturday August 22nd from 10:30AM! 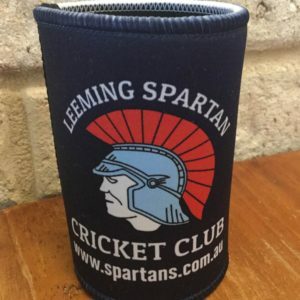 There will be two more hugely exciting matches from 10:30AM – 1:30PM and 2:00PM – 5:00PM, both consisting of evenly matched Spartan sides. This is a great way to get some pre-season training under your belt, particularly if you cannot make the Sunday training sessions. Grab you and your mates, dust off the bat, find your helmet, and get down and play in our 4th Winter T20 Competition! All nominees will play! Contact Coombsy on 0438 005 493 or via Email at danielcoombs@nullicloud.com to nominate to play in one (or both!) of the matches. Our pre-season raffle winner will be drawn after the first game’s completion, and you could win a fantastic 3 night holiday for two at Jurien Bay! The BBQ will be running red hot all day and we’ll have ice cold drinks ready to go! 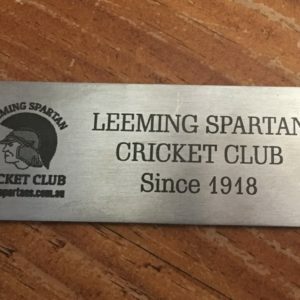 Day 3 of the final Ashes Test will be live on the TV (assuming we last that long! ), so our Fourth Winter T20 Competition is not to be missed!